Managing Infectious Diseases, 4th Ed. 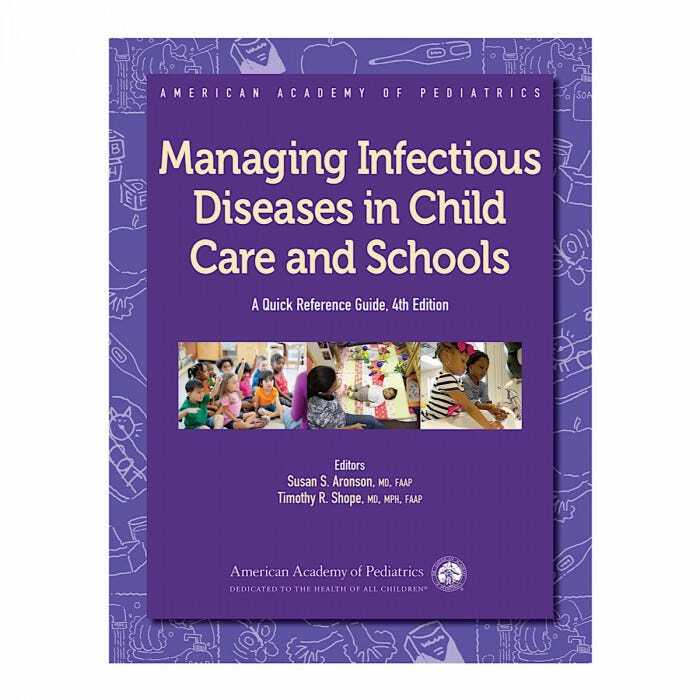 This award-winning guide provides child care directors, teachers, and caregivers with essential information on the prevention and management of infectious diseases in group care settings. 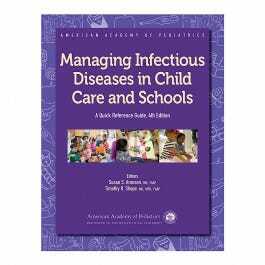 The newly revised and updated fourth edition is aligned with the most recent version of the premier AAP source of information on infectious diseases Red Book®. The robust section of more than 50 quick reference fact sheets on common infectious diseases and symptoms has been expanded to include new sheets on Clostridium difficile (or “C diff”), Norovirus, and Staphylococcus aureus (MRSA and MSSA). Additionally, the sample letters and forms section offers new and updated documents on pressing topics including a refusal to vaccinate form. As always, the guide is easy to use, providing clear, authoritative guidance on limiting the spread of infection.